Click The Log-In Button to Create an Account & Book Your Boarding Reservation Now! 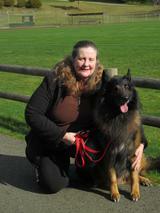 All dogs that board at Deb's Doggercise will be kept safe, calm, comfortable and happy. You can rest assured your pup will get lots of playtime with other dogs during daycare hours as well as plenty of snuggles and affection from us. We know how important your fur kids are and we will care for them just as they were one of our own. Boarding space is limited, so please make sure to make your reservations in advance. If you plan to board your dog with us you must provide Deb's Doggercise with proof of up to date vaccines (including an annual Bordatella) from your Vet, complete a temperment test, and book your reservation no less than 48 hours prior to drop off date. A 50% deposit is required at drop off and balance must be paid in full at time of pick up. You will be required to supply food and any medications your dog may need while staying with us. We supply bowls, bedding, toys, and lots of love. All boarding dogs will be included in daycare activities, weather it be with other dogs or mental enrichment time with us, they will all have the opportunity to play and have lots of fun! !